Hypnotic, almost psychedelic worlds combining the familiar with the unfamiliar in a swirl of forms is what the art of Nosbé is all about. The French artist is about to have his first solo show at Le Cabinet D’Amateur in Paris, only a couple of months after his grand live painting of Le M.U.R. in December 2015, a haunting green mural against a black background of Rue Oberkampf. Entitled Bestivités, the exhibition will gather some twenty works of flora and fauna drawn in his trademark style, confirming his unique visions and an incredible artistic talent. 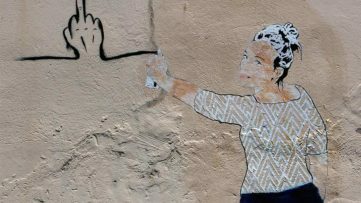 With this show, the Paris gallery continues its consistent program dedicated to the gems of the urban and street art scene in France. 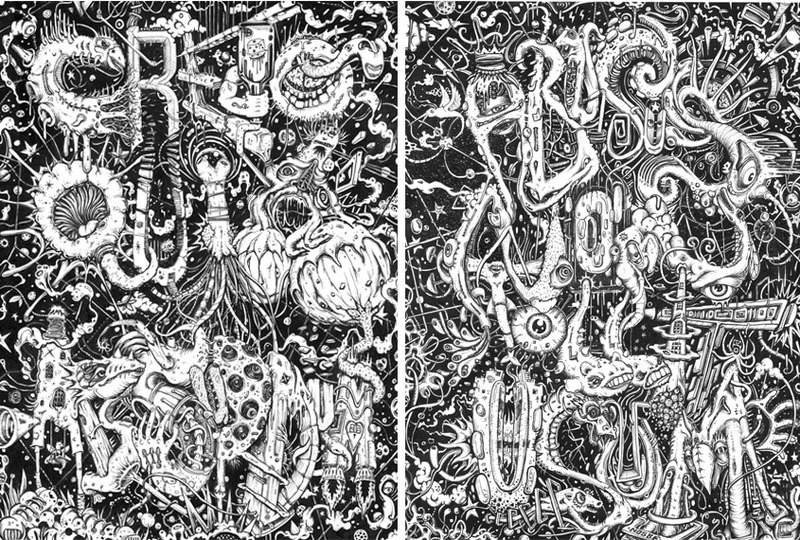 A painter and illustrator, Nosbé creates intricate drawings which bind ornamental elements and hybrid, almost living forms in a usually black and white, severely contrasted environment. His art seems to be just a fracture of a continuous flow of these shapes, like a scene captured in time and space that otherwise belongs to a never-ending stream of grotesque and comical creatures, flowing on canvas or paper. 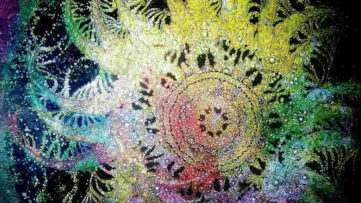 The works of Nosbé recall different visual imagery to mind, in particular the selections of living organisms in the findings of biologist Ernst Haeckel, or the ambiguous symmetry of the Rorschach tests. 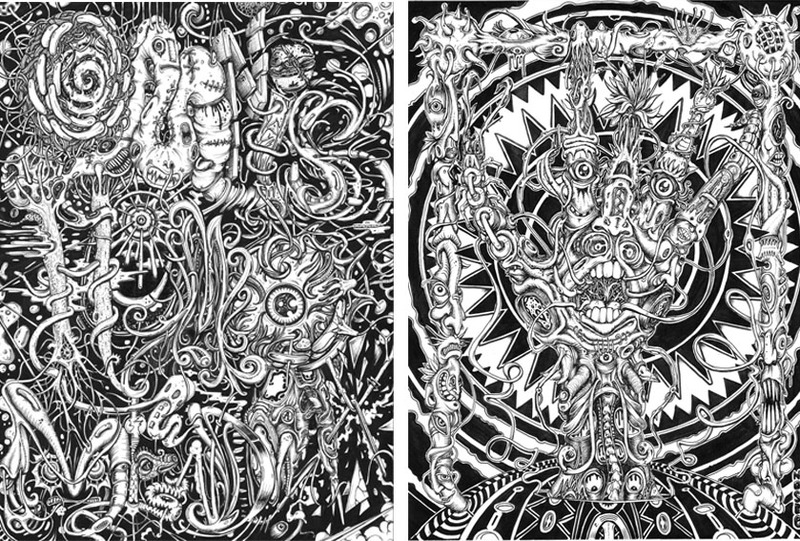 By his own admission, the artist is inspired by director Jean Dubuffet and cartoonist Robert Crumb, with whom he might share the love of the black and white and the dramatic tone, but also the covers of heavy metal music albums. The unseen works Nosbé chose to put on display in Paris aim to lure the viewer into a world painted with vividness, where every detail seems spontaneous and through-through at the very same time. They bear witness to the artist’s artistic evolution, which started in 2003 with his first graffiti and an interest in drawing early in his childhood. Nosbé’s creations are also rooted in Oceanic art, from the years he spent living in Tahiti. 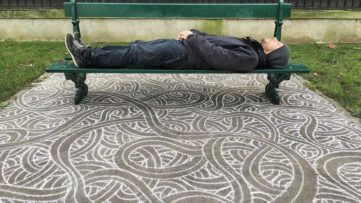 His career of a street artist, on the other hand, continued through 2005, when his crew called PPA (Petites Peintures entre Amis – little drawings among friends), started making cadavres exquis combined with much detail and rich color. 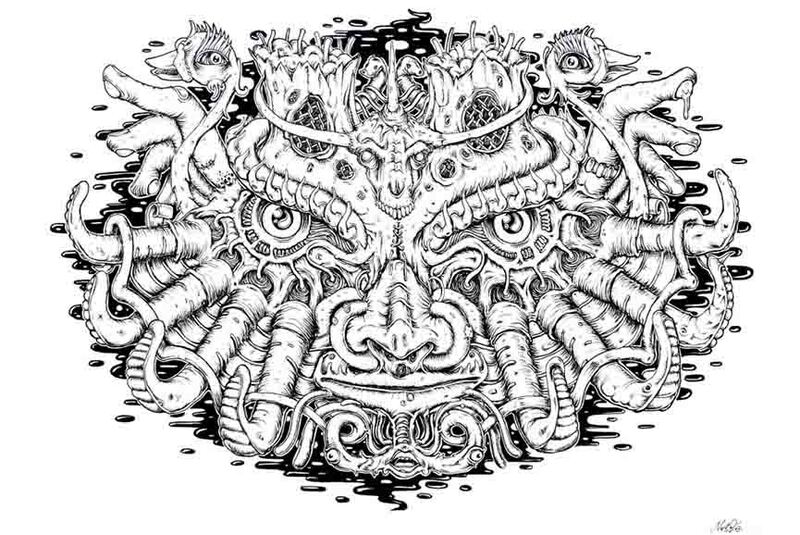 Soon after, his drawings began being home to a sort of an obsession with chimeras, faces, plants and organic shapes. Since 2010, Nosbé has been painting on his own, narrowing down his color palette to two elements only. In 2014, his first monograph, Horror Vacui (Latin for “fear of the empty”), gathered such works into a beautiful publication of a ten-year experience in conceptual graffiti and complex drawings. Bestivités, an exhibition of works by Nosbé, will be on view at Le Cabinet D’Amateur in Paris, France, from March 8th through 20th, 2016. The opening reception is scheduled for March 10th at 6pm. All images courtesy the artist and Le Cabinet D’Amateur Paris.